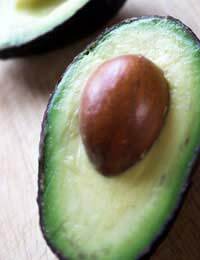 Avocados are packed with vitamins A and C as well as being rich in folate and healthy monounsaturated fat which can help prevent heart disease. They are also calorie high which means that they can provide the energy a fussy toddler needs for a full day of activity. Because they mash to make a wonderful guacamole, they are ideal served as a dip for other raw vegetables or wholemeal bread or tortilla chips. Beans are rich in fibre, iron and protein and the earlier we learn to eat them, the less ‘wind-producing’ they are. They serve as a superfood because small quantities give a toddler lots of protein which builds a strong body and the iron content is higher than almost any other non-meat option. Tinned beans (look out for unsalted versions) can be served as finger food or you can puree beans into a dip or use the puree, instead of butter or spread, in a sandwich. Blueberries have massive amounts of several antioxidants, the vital ingredients in brain function – as we age, antioxidants also help guard against diabetes and heart disease. They can stain clothing, so they are best not served as a snack, instead you can put them on top of a bowl of cereal or blend them into smoothies. Broccoli or spinach – while getting toddlers to eat green foods has a reputation as an uphill struggle, it’s worth it because these veggies are rich in iron and antioxidants. Try roasting broccoli in a little olive oil to make it sweeter, or pureeing fresh spinach leaves with an apple to make an apple smoothie. Eggs have a bad reputation that is largely undeserved – they are calorie low but protein high and have masses of the omega-3 essential fatty acids that build muscle and protect brain and heart function. Try serving eggs in various ways to keep them interesting, such as hard-boiled and mashed with cooked beans to make a sandwich filling. Oats are valuable both for the way they serve to lower cholesterol and for their ability to stop blood sugar dips that can cause temper tantrums in the very young. Whole oats, served for breakfast, will give a toddler the stamina to get through the day as well as offering a serving of heart-healthy soluble fibre. Salmon is another rich source of omega-3 fats, essential for brain development in toddlers and known to help fight depression in older folk. Make fishcakes or fish-burgers to tempt your toddler to eat this pretty and mild-tasting superfood. This relatively new to the UK superfood is rich in vitamins A, C, and B6, potassium and manganese and fibre. Mix them 50/50 with ordinary potatoes in mash until your toddler is relaxed with them, and then use them in any recipe that would contain potatoes. Tofu is a food we don’t traditionally associate with the toddler diet, but it’s a fantastic investment in future health, especially for girls as it can help protect against breast cancer for life. Use silken tofu with yoghurt in smoothies and puddings or dice tofu and use in stir fried vegetable dishes. Tomatoes are rich in vitamins A and C and lycopene, a micronutrient that helps ward off some cancers. Tiny cherry tomatoes are popular with some children – but don’t chill them as that can cause new teeth to ache, serve at room temperature. Alternatively make them into a dip with avocado.